The LEGOLAND® Malaysia Resort brings together a LEGOLAND Park, Water Park and Hotel in one LEGO® themed location. It is a family holiday destination with more than 70 hands-on rides, slides, shows and attractions. We offer competitive financial and benefits package and an exciting dynamic culture of growth and opportunity. LEGOLAND® Malaysia Resort brings together a LEGOLAND Park, Water Park and Hotel in one LEGO® themed location. It is a family holiday destination with more than 70 hands-on rides, slides, shows and attractions. Almost everything is hands-on, so you can push, pedal and program, or steer, squirt and splash, your way through a truly interactive experience – and of course there’s building too. LEGOLAND® Malaysia Resort has seven themed areas of attractions for all ages such as The Beginning, LEGO® Technic, LEGO Kingdoms, Imagination, LEGO City, Land of Adventure and MINILAND. It’s an inspirational land where the children are the heroes. From LEGO experiment centres to rollercoasters, the park is a day-long voyage of discovery for all the family. 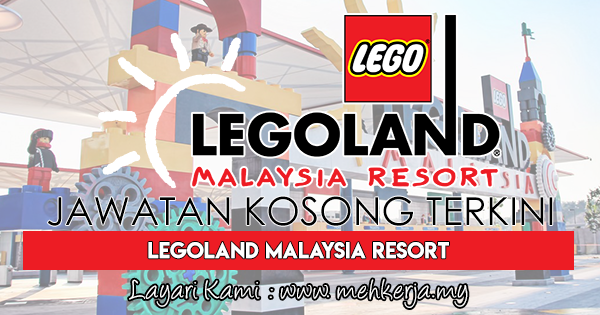 0 Response to "Jawatan Kosong Terkini di Legoland Malaysia Resort - 18 April 2019"